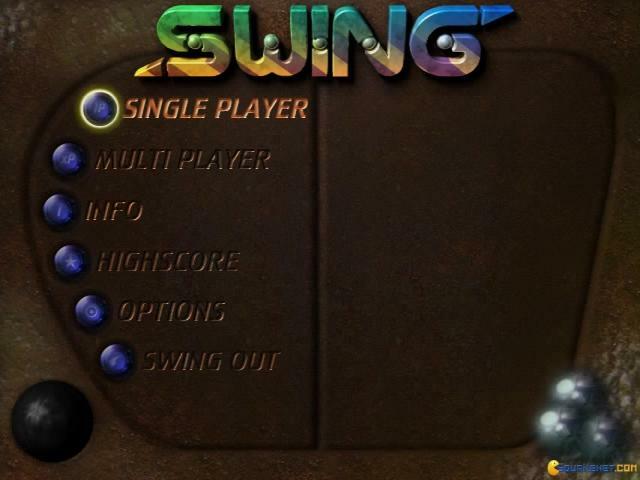 Swing is very much inspired by Tetris but against all the odds, it actually succeeds where other blatant clones like Pentrex fail miserably and is well worth seeking out if you're into such games. This one works because it adds in new mechanics which actually add to the core gameplay and which make it an entertaining little experience. You're presented with a static screen, at the top of which are two lines of balls in different colors and weights. At the bottom of the screen, you have four scales, and you can move the balls onto the scales by sending them through a sort of grey device in the middle. 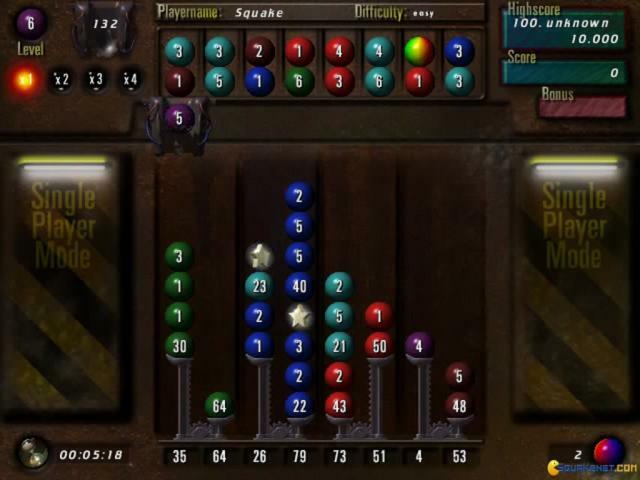 If you create a line of three same colored balls, they disappear, giving you points and causing surrounding balls to fall and create possible combos. 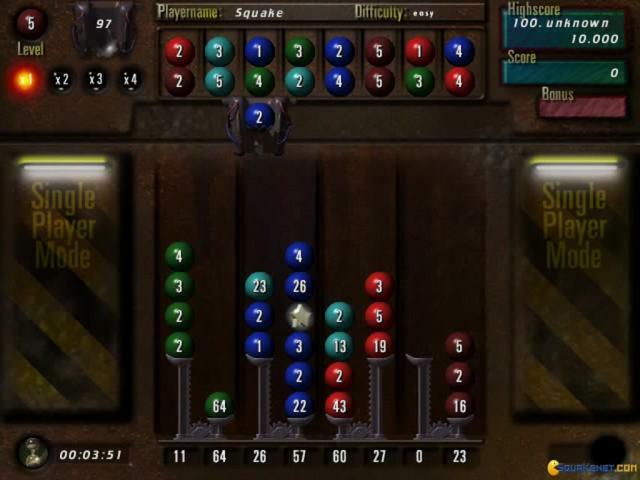 However, the trick here is the scales, which if imbalanced, catapult the balls all over the screen and if you get more than eight balls on one set of scales, it's game over. 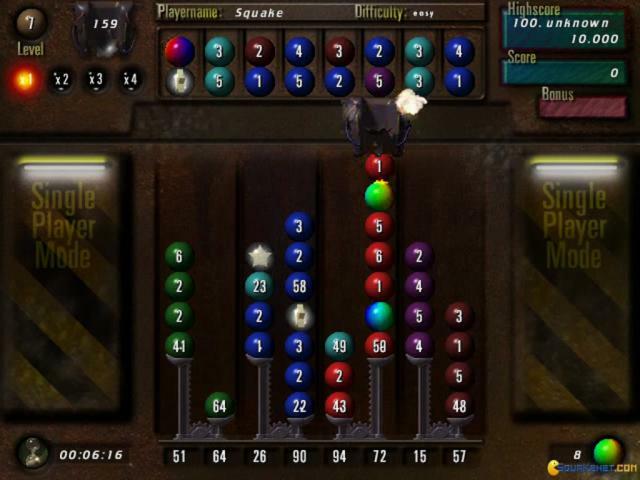 As the game progresses, more colors are added into the mix, as well as special items which can help you rack up a high score. 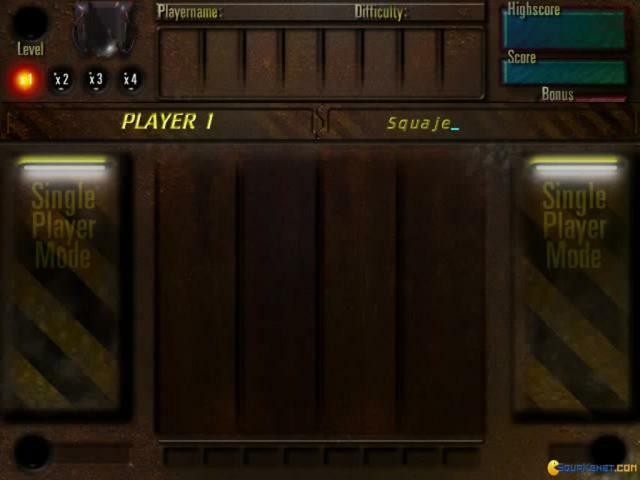 There's also a multiplayer mode which is quite entertaining as you send balls flying over into your opponent's area. 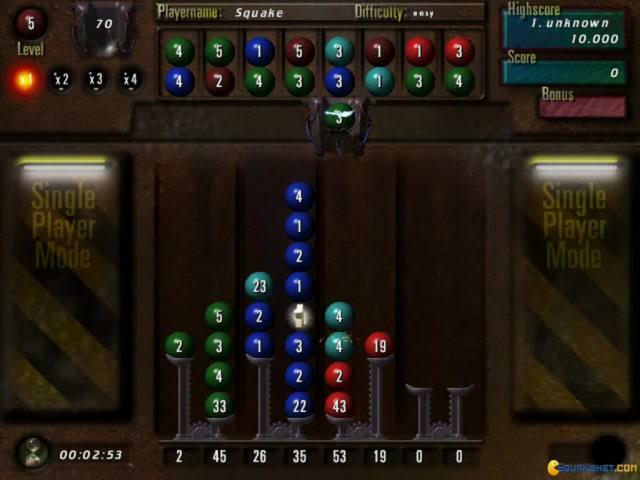 As a neat variation on Tetris, Swing is certainly better than many other straight up clones on the market. It's simple enough to pick up and play, but still requires some thought in order to win, making it an absorbing experience that is perfect for those coffee breaks. The visuals are similarly straightforward but colorful and appealing, so grab this if you want a quick burst of color busting fun. Tetris has seen many clones over the years but this one is one of the best because they are few new tricks and upgrades which have made the gameplay quite wonderful and thrilling. 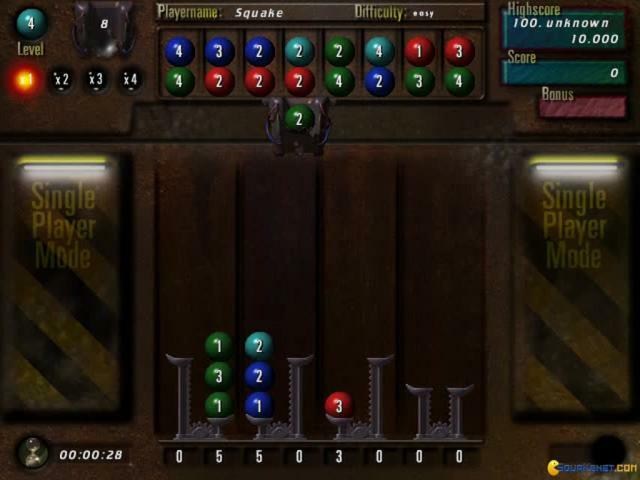 The normal routine of blocks which have been seen with Tetris and its clones is though the same but this time they have made it tricky by adding the weight element which makes the game a bit more tough and competitive. The goal that you have is to make combination of three same colored balls to make them vanish as they will fall on to a number of swings and balances that are there at the bottom. Due to the weight element the tilt will be hard to adjust this time because if one side has heavy balls and the other side has lighter, the lighter will fall of the balance. When the rogue balls start to fall down, the game gets even tougher because these balls have their special affects which will either make the gameplay tough or will help you efforts. The gameplay is a lot of fun and is diverse to its very core and the graphics to tag with it are also very smooth and colorful. 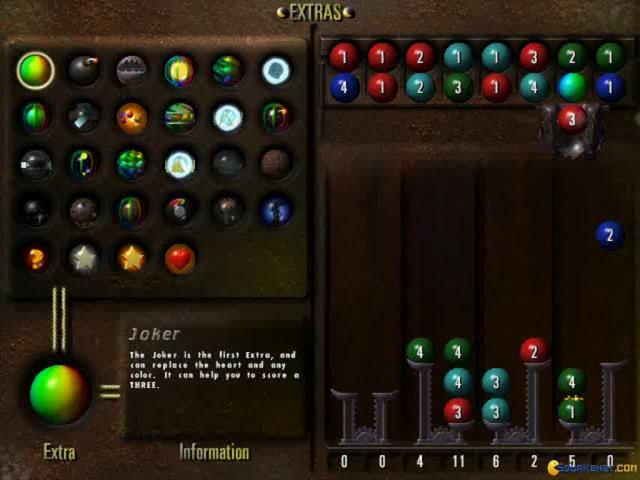 The other puzzle which I recommend to all is Textris.